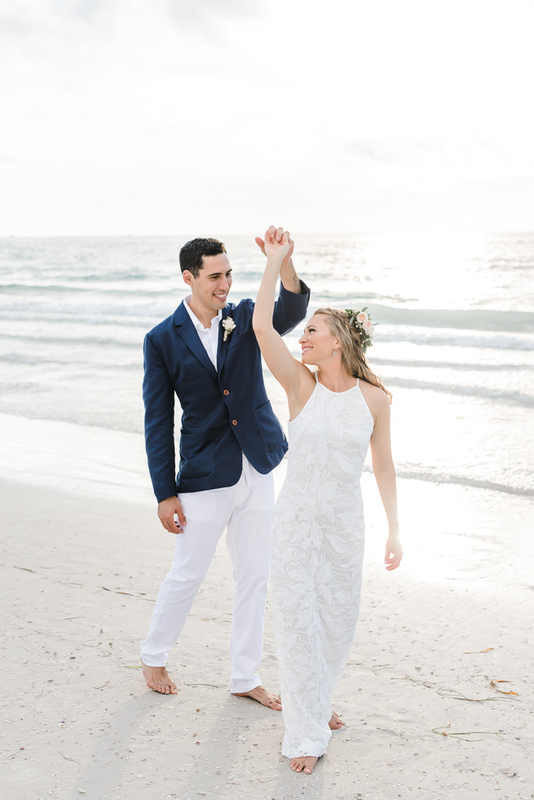 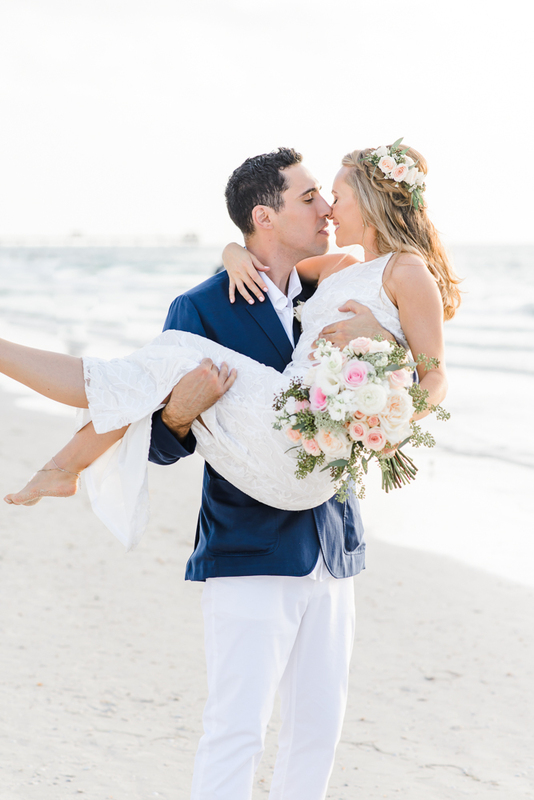 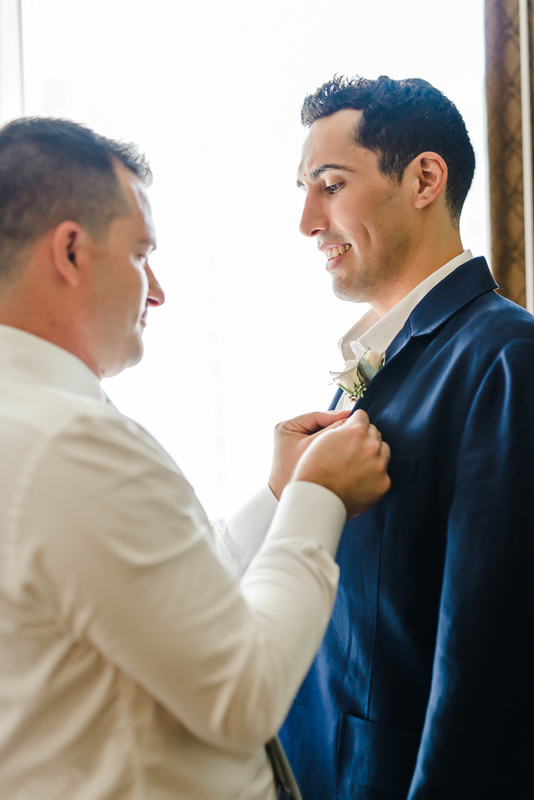 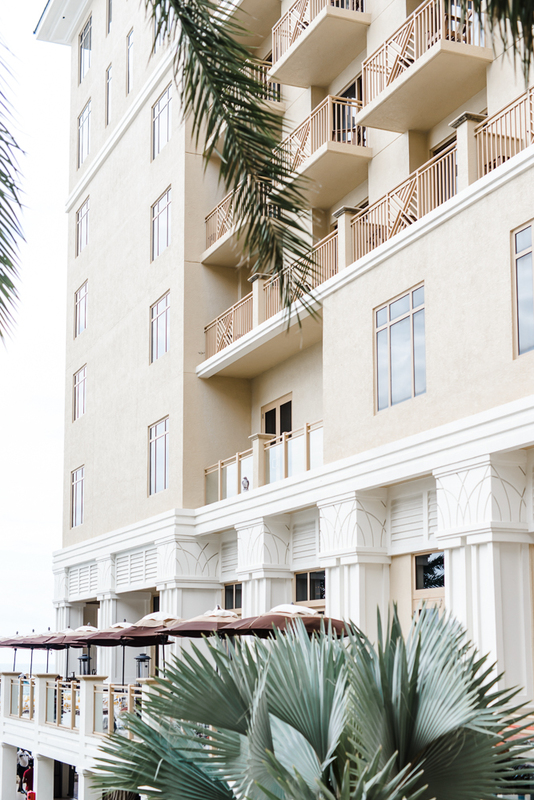 Paula and David’s wedding took place on Clearwater Beach at the Sand Pearl Resort. 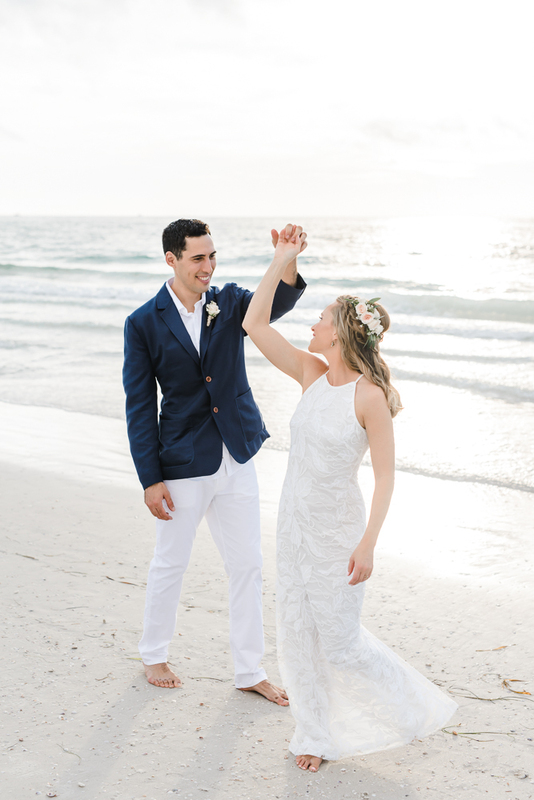 The newlyweds don’t live in Florida so I am sure it was a nice vacation and wedding combined! 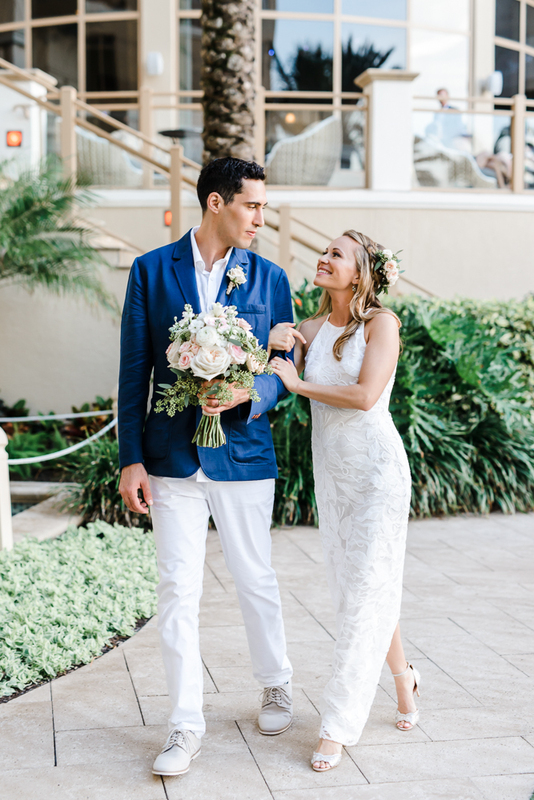 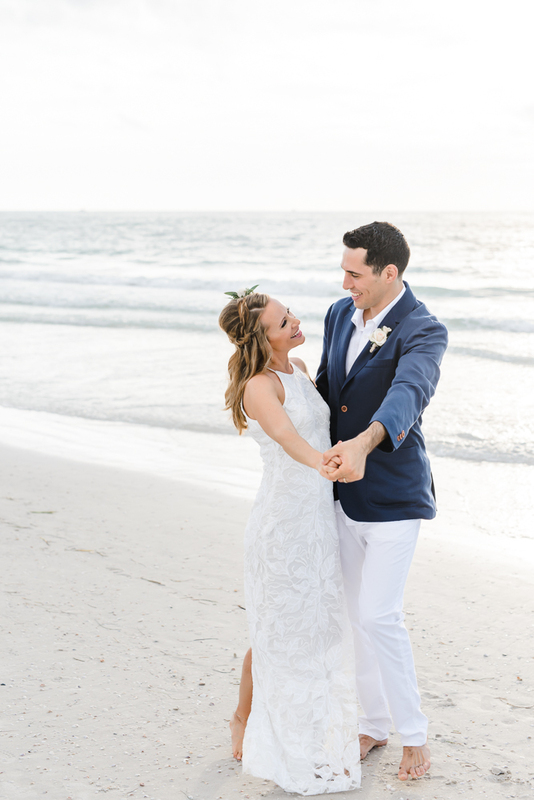 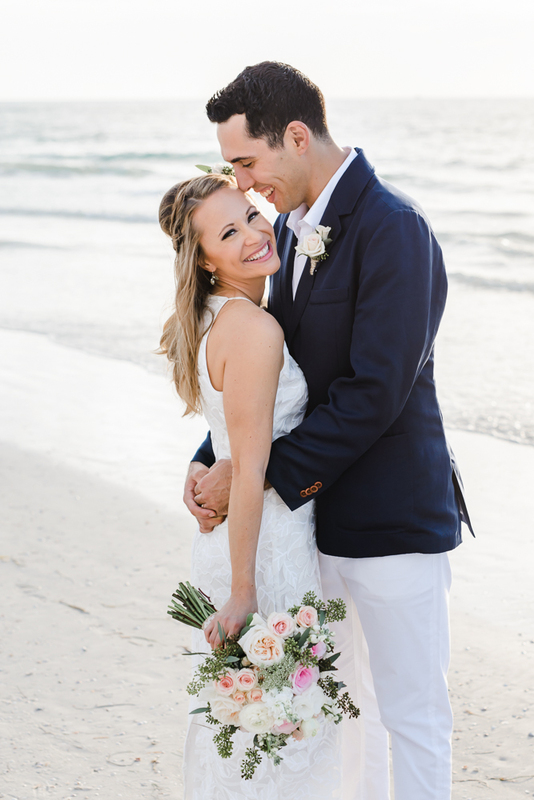 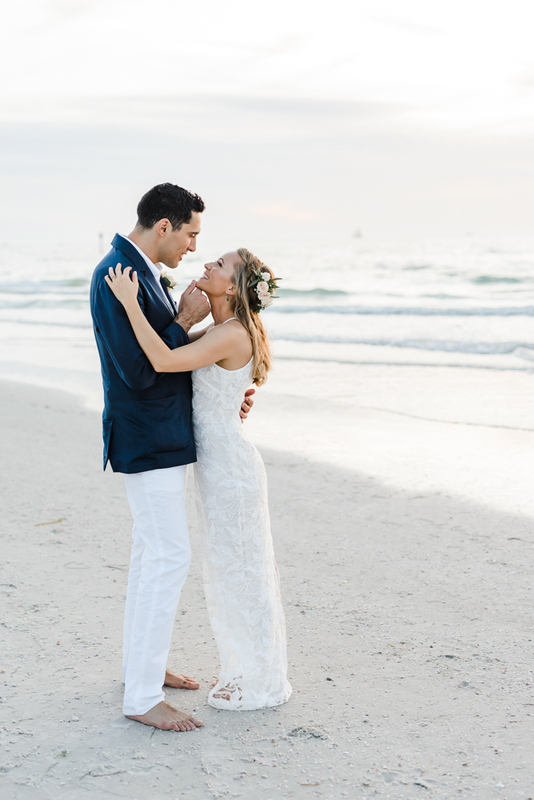 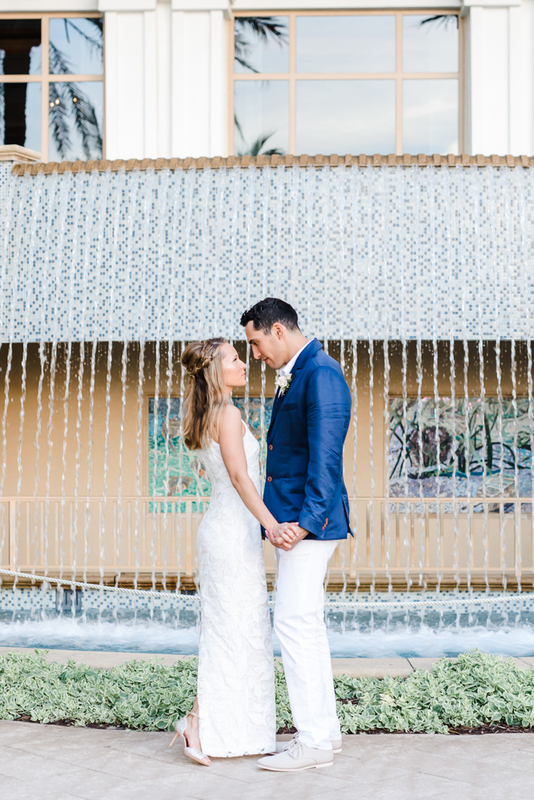 Paula’s beautiful dress and shoes were made by Badgley Mishka and were so elegant looking, not to mention were absolutely perfect for the beach setting. 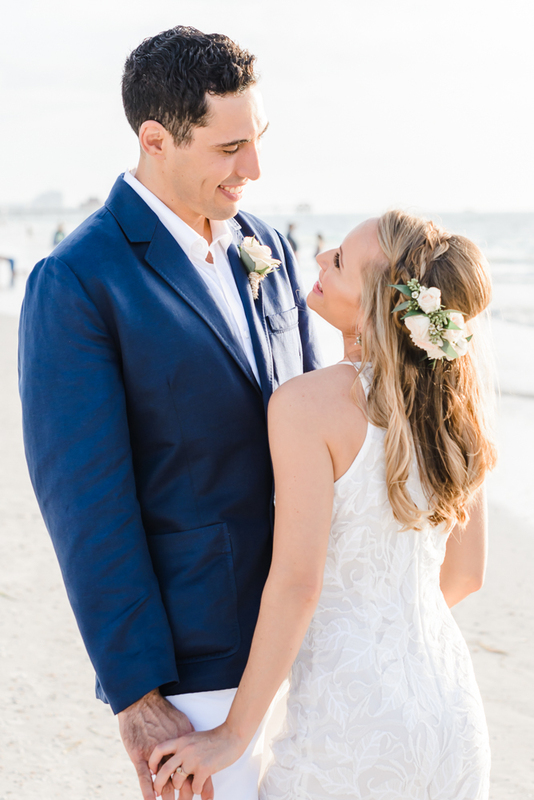 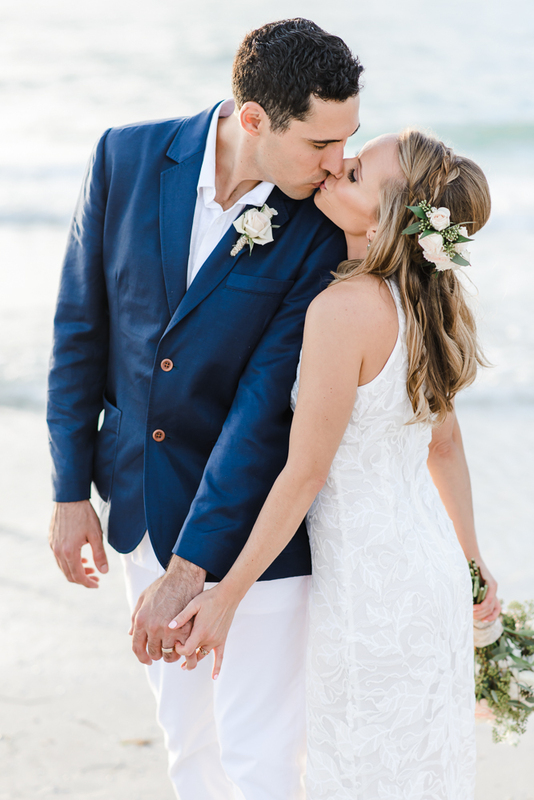 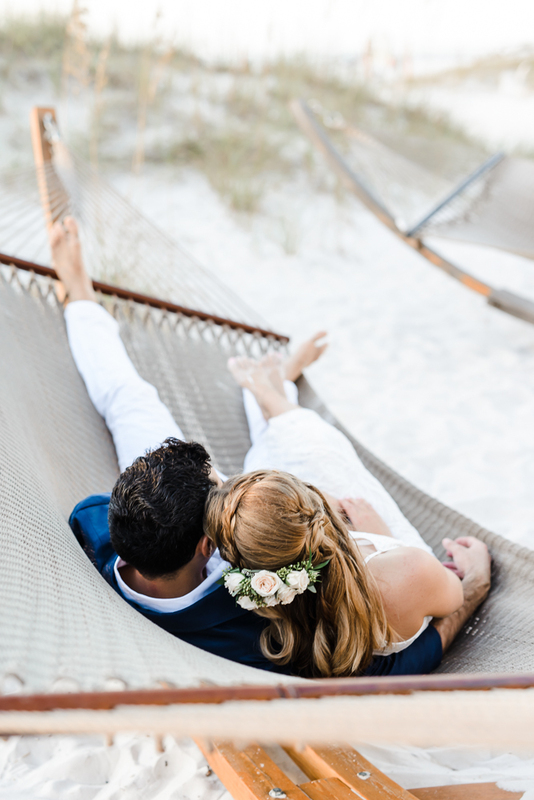 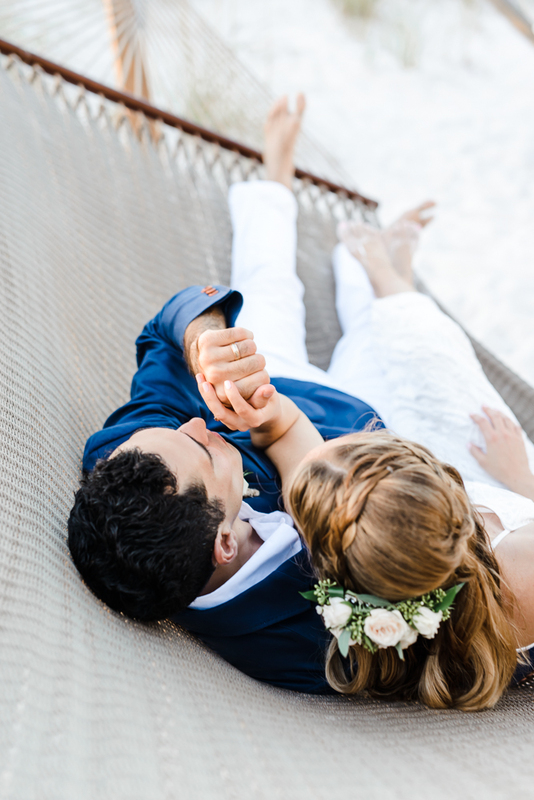 Her flowers from NBloom were so beautiful and added a lovely touch to their romantic and intimate wedding on the beach of Florida. 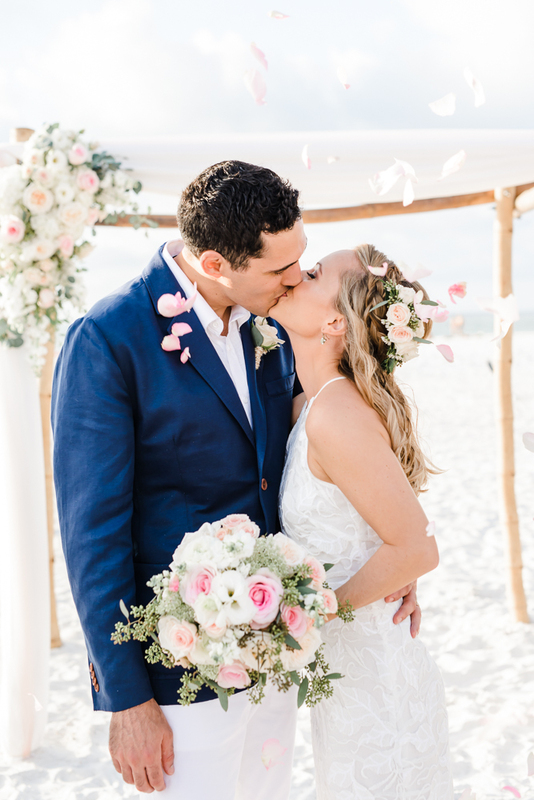 Their stunning ceremony decor was planned by Florida Beach Weddings By Jules and I love working with her!